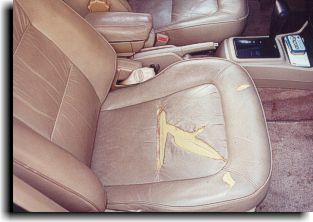 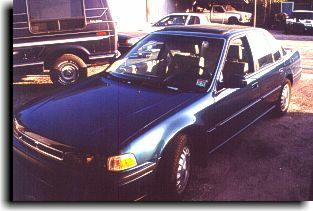 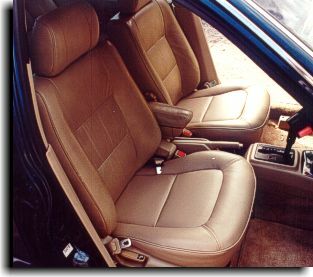 This 1990 Honda Accord shows an example of recovering the front bottom cushions done originally in leather with a matching vinyl to hold down cost. 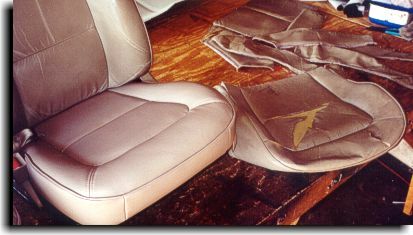 Front cushions with original torn leather. 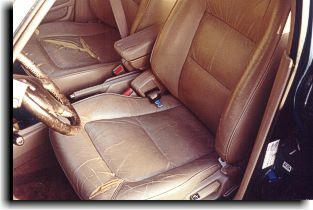 One front cushion recovered in vinyl with the old leather cover next to it. 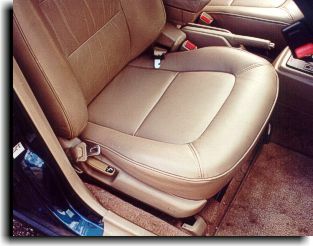 Front seat cushions completed and installed in Honda.